"Change begins with a whisper." The Help is set in the 1960's right around the time of the civil rights movement. Skeeter Phelon, returns from college with the desire to become a writer. She takes the only job afforded to her at the local newspaper as a columnist writing about how to be a homemaker. Skeeter knows nothing about this topic having been raised in a well-to-do home, where she pretty much never needed to lift a finger for such things even having her own maid. So, Skeeter enlists the help of her very good friend, Elizabeth Leefolt's maid, Ailileen Clark (who also takes care of Elizabeth's little girl Mae Mobley) to help her write this column. In the process, she begins to notice how truly awful Aibileen and the other maids are treated. Skeeter especially notes this with her other good friend, Hilly Holbrook, who is the ring leader of all these society women. Hilly feels the maids carry diseases and spearheads the campaign to have all in the town create separate bathrooms for their maids, because of this. To prove the extent of Hilly's evil, we also learn that Hilly had her own mother put in a retirement home, when her mother's maid, Minnie gets her revenge on Hilly by doing the 'terrible awful' to her. For those who don't know by the end of it, Hilly is referred to as 'Two Slice Hilly', because of this 'terrible awful'. Skeeter, from all of this, decides to write a tell-all expose on the maids' unfair treatment. So, she tries unsuccessfully at first to get the town's maids to submit to interviews with her. Occurring indeed during the turbulent civil rights movement, these maids are just plan scared and don't want to be arrested or even get harmed for this. The pastor is killed due to a racial conflict and this is what sends Aibileen right to Skeeter to be interviewed. And one by one the rest of the maids including Minnie relents to be interviewed. Minnie even tells about the terrible awful as collateral of sorts so as not to have Ms. Hilly let on that this is indeed Jackson, Mississippi. She is scared, but still wants to protect herself and her friends. So this is the only way she knows how and we find out just how far Skeeter and the maids are willing to go to get their story out there for the masses to read. 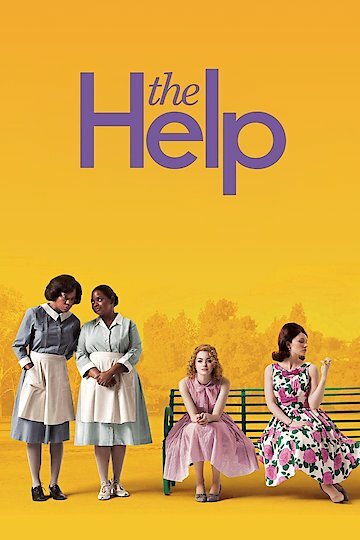 The Help is currently available to watch and stream, download, buy on demand at Showtime, Sling, Vudu, Google Play, FandangoNow, iTunes, YouTube VOD online.